It can’t be easy being Shawn Mendes. He has a legion of dedicated fans, hit singles and wealth, but the media’s constant label of ‘teenage heartthrob’ makes some music fans think twice about listening to his music. Sure, he sings pop songs about love, but one listen of his self-titled debut will dissipate any doubts you have about the Canadian singer-songwriter. Unlike his previous releases, his self-titled third album sees Mendes experiment with a wide range of influences. Recently, he mentioned in an interview with British GQ that no-one listens to solely one genre and that young people tend to listen to many different types of music. This album embraces sounds from not only mainstream pop but alternative rock, contemporary R&B, funk and synth-pop. He does not abandon the Shawn Mendes that fans have come to love, instead, he presents a sound that’s more mature and developed from anything he has released previously. The album opens up with his biggest statement, ‘In My Blood’, which was inspired after seeing Kings Of Leon live. The anthemic rock track sees him embrace his vulnerability without cliché one-liners. The motif of “help me” is memorable and powerful. The track is an anthem that many young people can relate to, and a track that they can blast aloud and identify with. When imagining ‘In My Blood’ in a live capacity, I can picture a sea of phone lights and fans passionately screaming along to every word. Mendes fuses elements such as funk, synth pop and R&B on a few instances on his album, and the mixture is utterly hypnotic. ‘Lost In Japan’ opens with a delicate piano before bursting with funk influences. The enticing love song is catchy and memorable, and with one sole listen, the chorus will be ringing in your head for hours. His more recent single ‘Nervous’ is also evidence of Mendes fusing contrasting elements without it becoming dishevelled. Mendes’ vocals on the verses appear as a subtle conversation, adding to the intimacy of the track. ‘Queen’ is sure to be popular with his female fans. The groove on ‘Queen’ is not as glaring as it is on ‘Lost In Japan’ or ‘Nervous’, but it’s still noticeable. Fans of Mendes older music, have no fear, he doesn’t completely distance himself from it, instead, he appears more sophisticated and refined. Tracks like ‘Like to Be You’, which features production by lifelong idol John Mayer and vocals by Julia Michaels, is evidence of this. Their dreamy vocal harmonies are backed by the sounds of a gentle guitar. ‘Because I Had You’ features aspects of his previous music, but with a dose of maturity in his lyricism. ‘Mutual’ is an exquisite blend of seductive basslines, impassioned vocals and a dynamic chorus. ‘Mutual’ is a display of Mendes’ confidence, not only as an artist and performer but as a young man navigating the world of dating. 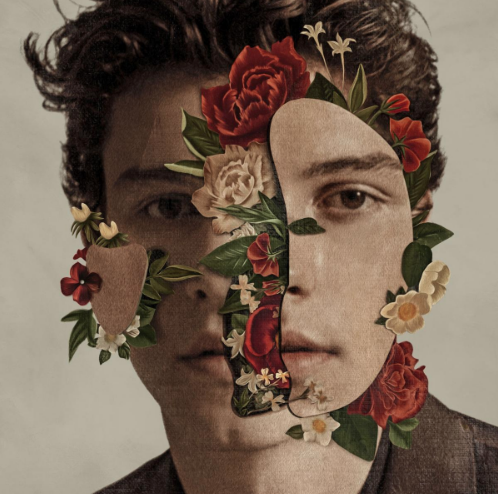 Mendes' growth on his self-titled album shows his impressive progression as an artist. The album will not only dazzle his devoted fans, but also those looking for contemporary pop in its finest form.